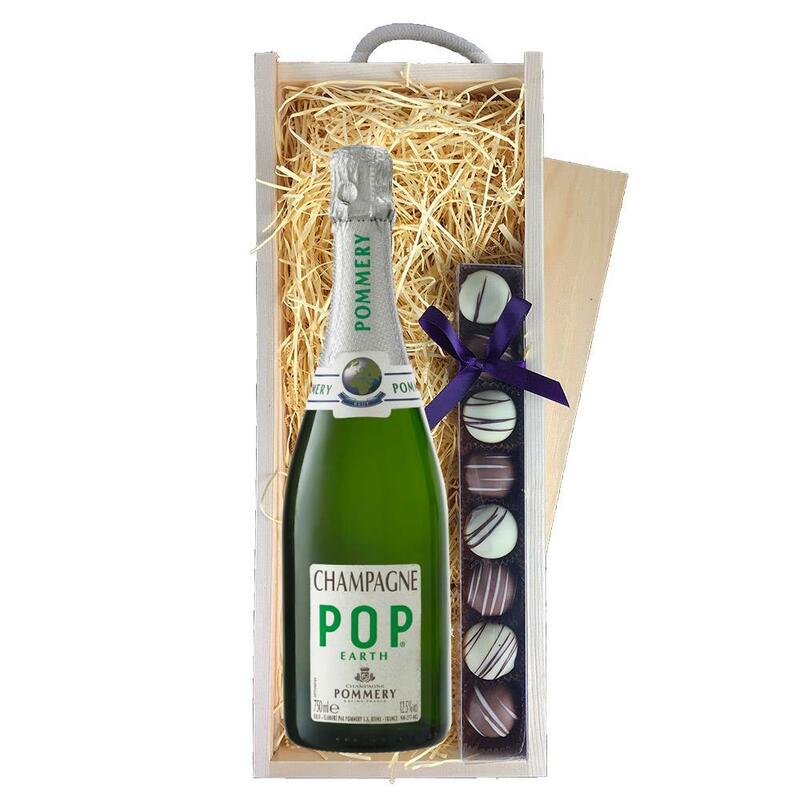 A single bottle of Pommery Pop Earth Champagne 75cl 75cl and a single strip of fine Hand Made Heart Truffles(100g) Presented in a wooden gift box with sliding lid and lined with wood wool with a Gift Card for your personal message. Pommery Pop Earth Champagne 75cl - is the culmination of all the efforts by the Maison Pommery to reduce the impact of its products on the environment. It stems from grapes from sustainable viticulture and come in a light bottle with a recycled label. This product is hand packed onsite by Gifts International, and is not affiliated with any other brand. Gifts International is responsible for this product combination/set.